Having trouble using the site? Please contact us and we'll try to help you as quickly as possible. 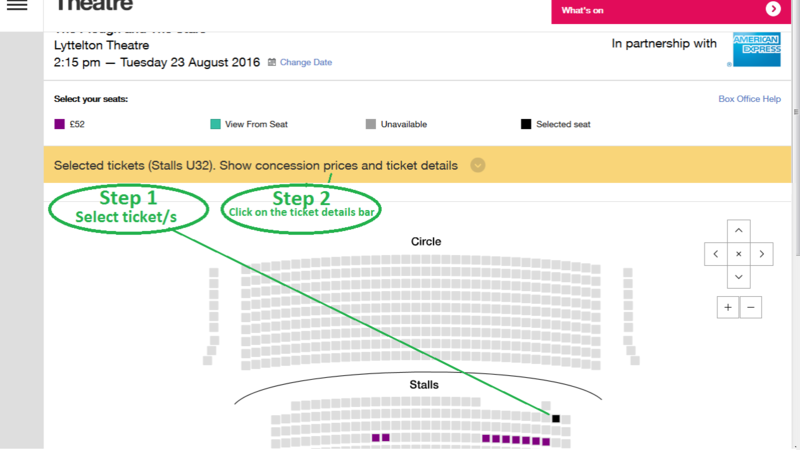 If you are having trouble finding an answer to your question about the National Theatre, please try the Help Centre, where you'll find answers to questions such as the collection policy for tickets held at the Box Office, how to find the cheap tickets at the National, and many others. Open Monday - Saturday, 9.30am - 8pm. Please use the Box Office enquiry form to report non-ticket buying technical problems or errors relating to the design or performance of the site. Other contact details can be found on our Help Centre pages, where you can find answers to many frequently asked questions. If you want to receive regular emails from us you can join any one of our lists: NT News, NT Live, Entry Pass and Schools and we will create an account for you when you join. To be able to manage your contact details you need to access your account and you can do this if you set a password when you first join, or you can use the Reset Password function subsequently to gain access to your account. If you want to book tickets and have only signed up to one of the lists above, you will need to complete your address details, either during the checkout process, or by visiting your account before begining the booking process. You can also Register your full details, allowing you to sign up to any one of our lists and be ready to buy tickets in one straightforward process. For information and links to set font and other accessibility features, visit our Accessibility page. There is a link to What's on at the top right on all pages. The Menu link at the top left of all pages provides links to all other sections of the website and featured pages for each section. Each section of the site has main and subsidiary links on the left of each page. Where the latter exist, they lead to more information relating to the subject selected from the main links in the left hand column. What's on: for all shows at the National Theatre, our transfers to the West End and shows by other theatre companies for whom we are selling tickets. There are also links to talks, courses, workshops and events. Your Visit: details of all venues at the National and facilities run by the National Theatre, such as our restaurants, bars and bookshop. Learning: for talks, courses, events and activities for adults, young people, families and schools. Support us: details ways for individuals, companies, trusts and foundations to get closer to, and support the work of, the National Theatre. About us: for background and history of the National Theatre, Press releases and career opportunities. Backstage: presents video, audio and documents offering insight into how theatre is made at the National. There are then specific sections for Costume and Props Hire, our young persons' scheme Entry Pass, the personal and development training opportunities available in Theatreworks, American Express Invites and our Blog. There is a site-wide free text search (in the top right of any page) and also an event search for all ticket events on the What's on page. These links are all located on the top-right of the screen. Example of a Senior Citizen concession price below, and Under 18s are in the same location when available.